We hope today is the first day of a long holiday weekend where you get some much needed time off to to sit back, relax and simply enjoy doing nothing! Of course there is! 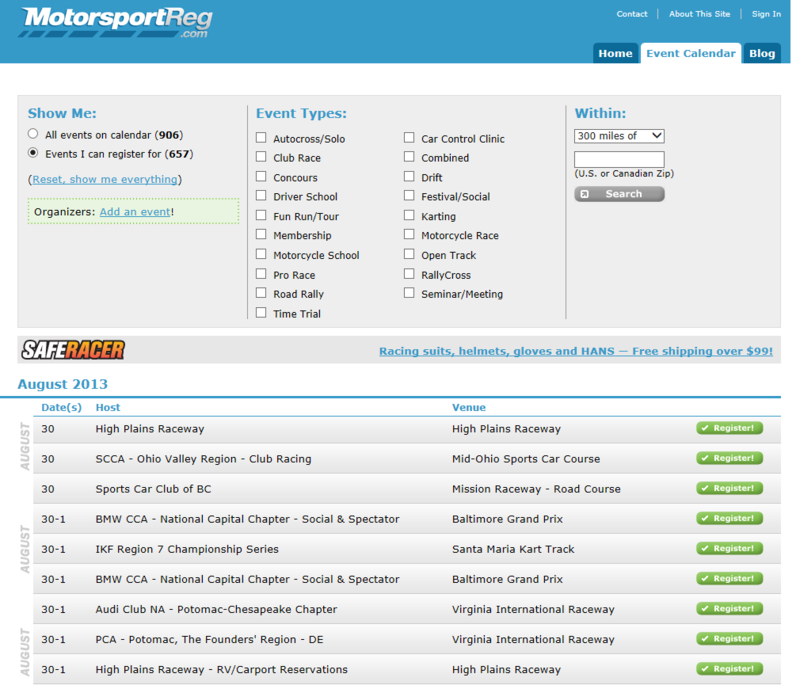 In fact we have 57 events listed on our calendar just for this weekend. So what are you looking for? Drivers school? WE'VE GOT IT! Autocross or Solo? WE'VE GOT IT! Motorcycle school? WE'VE GOT IT! Open track? WE'VE GOT IT! Festival or social event? WE'VE GOT IT! Events in Canada? WE'VE GOT IT! We've got something for everyone. So get off the couch, check out our calendar, put some air in the tires, and go have some fun this weekend.